Hello! I hope everyone had a good dinner as well as I did. 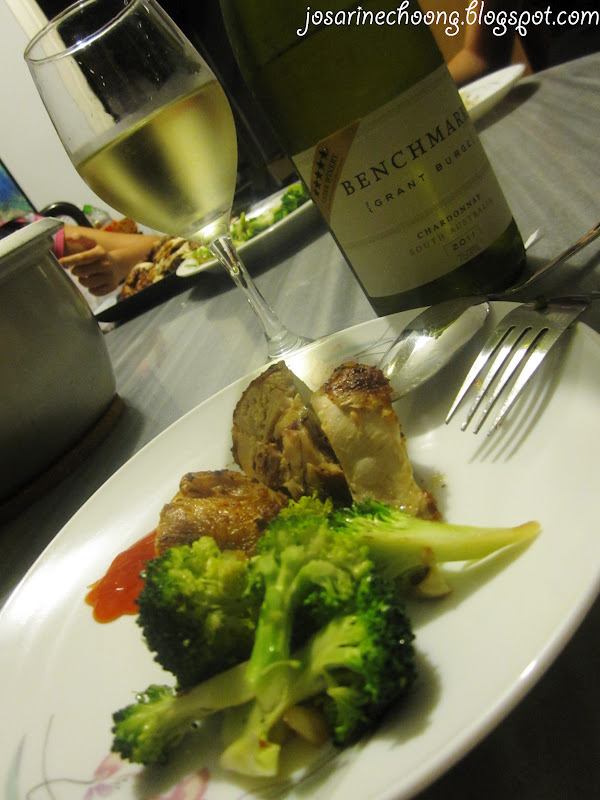 It is now 9.12pm in Malaysia, and I kinda just had my dinner, accompanied by a bottle of wine that my mum and I got earlier today. 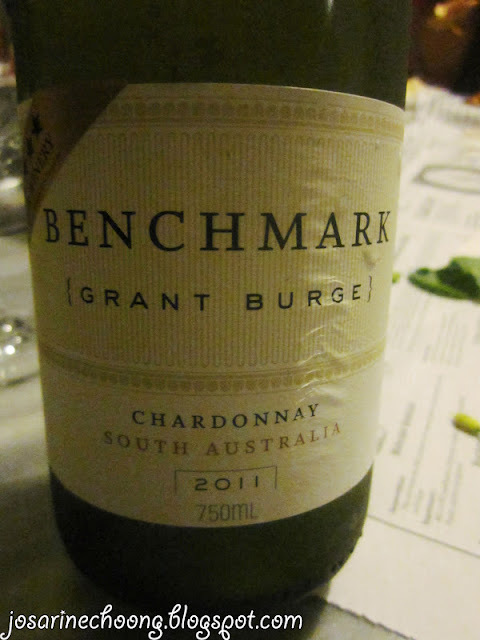 Benchmark [Grant Burge] Chardonnay South Australia 2011. In the alcohol shop in Lucky Garden is having a small promotion. RM42.95 I think? Rougly RM43, before discount is RM45 something, so RM46. The first sip I took from the wine was pretty sour at first, but then later on while I was eating, at the same time the wine was airing a bit, so the second sip I took was less sour. 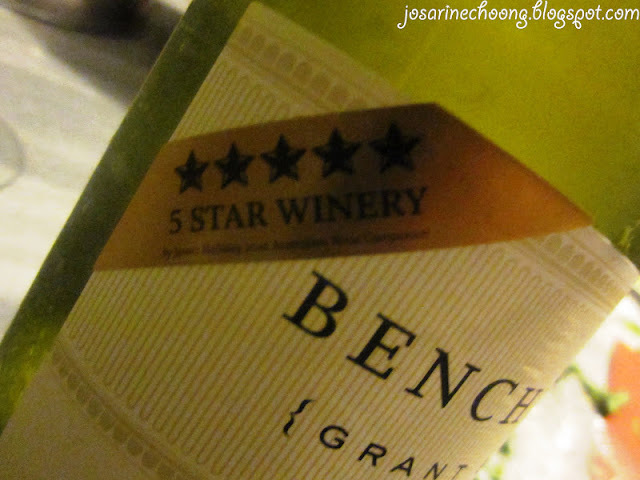 It is pretty easy to drink, kind of fruity, and it is not very sweet. Overall the taste is a mixture of dry (Chardonnays are dry) and a little sour, but still easy to drink. 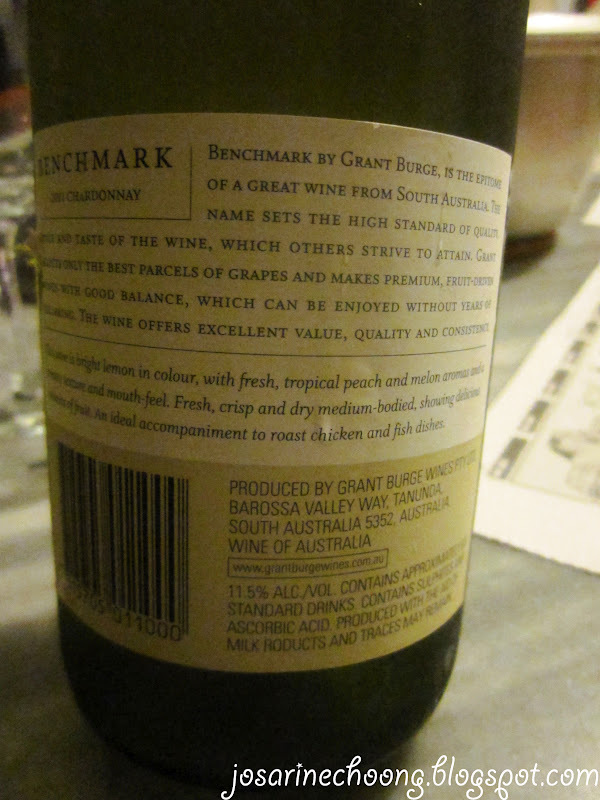 Stated on the label, Benchmark is a 5 Star Winery. 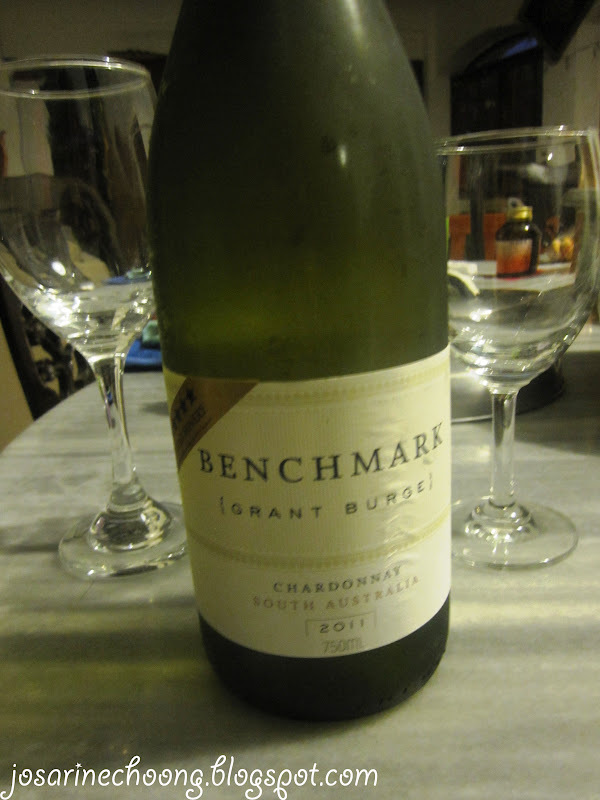 The lady in the shop recommended this brand to my mum and I, while we were looking at Jacob's Creek. She said that Jacob's Creek is because of advertising and marketing so it is more popular, which we kind of agree too. But non the less we still enjoy drinking Jacob's Creek. Anyhow we decided to give this a try too. 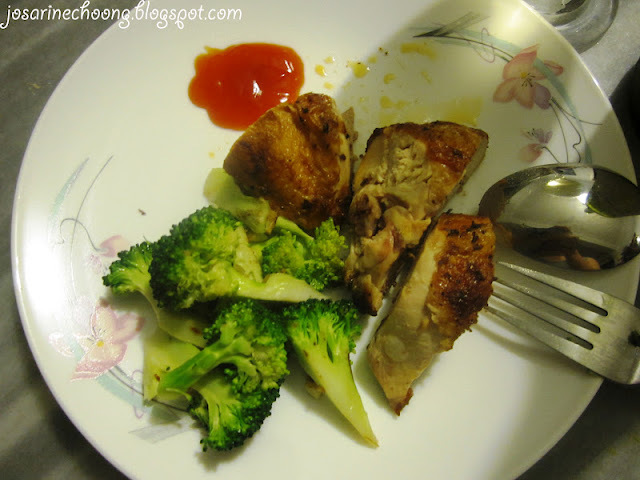 So dinner for today was really simple, but it was good enough for me since I go on a diet on weekdays, and I try to avoid carbs during dinners. Steamed Broccoli with Garlic and Black Pepper Roasted Chicken from the Meat & Co. next to the wine shop in Lucky Garden.